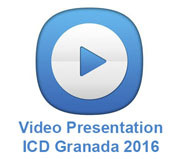 We encourage you to send us your Communications Summary for revision, evaluation and possible presentation during ICD Granada 2016, which will take place in Granada (Spain) in September 7th, 8th, 9th and 10th 2016. 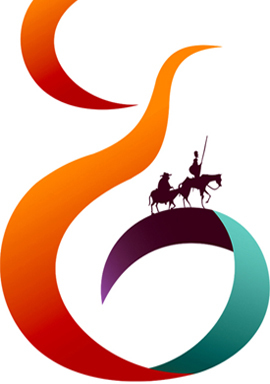 Communications Summaries will only be accepted for evaluation when submitted via the ICD Granada 2016 Congress' official website by December 15th 2015. At least one of the authors of the documents needs to be subscribed to the Congress to be able to submit the application (before or after its accepted), admitting a maximum of three communications per subscription. Resolutions will be communicated between the 1st and the 15th of March 2016. Once your Summary is sent via the official site, you will automatically and immediately receive an email as a confirmation of receipt where you can check the content and data sent with the application. It will be the author's responsibility to contact the Secretary department to: icdgranada2016@mastercongresos.com should the receipt email did not arrive or there are any errors in the data registered with the application. The Communication Summaries sent for evaluation must not have been published in any other congress, magazine, interface or any other media. All communications will be suppliedin a poster format and won't be presented verbally. The Scientific Committee will decide which communications will be presented during the Congress to an audience and the chosen ones will be contacted between the 1st and the 15th of March 2016.